It's been clear with recent fashion and accessory trends that neons are here BIG TIME for the summer. I was psyched when Christy of KBShimmer Bath and Body first started posting teasers of the summer 2013 collection, which is packed full of eye-searing neons. I'll be showing you three today which include "Pimp My Pride," "Totally Tubular," and "The Dancing Green." 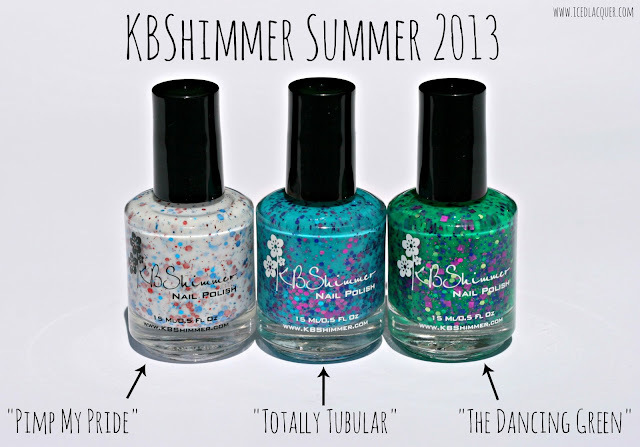 All three of these polishes feature wonderfully saturated bases and a ridiculously unique blend of glitters. 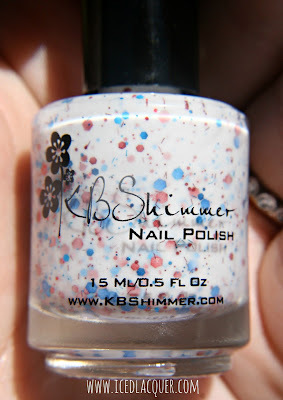 I can't say enough good things about the formula with KBShimmer polishes... somehow she's found a way to make the base opaque enough to provide full coverage (with no other polish underneath) in 2-3 coats, but not so opaque that it covers up the beautiful glitters. 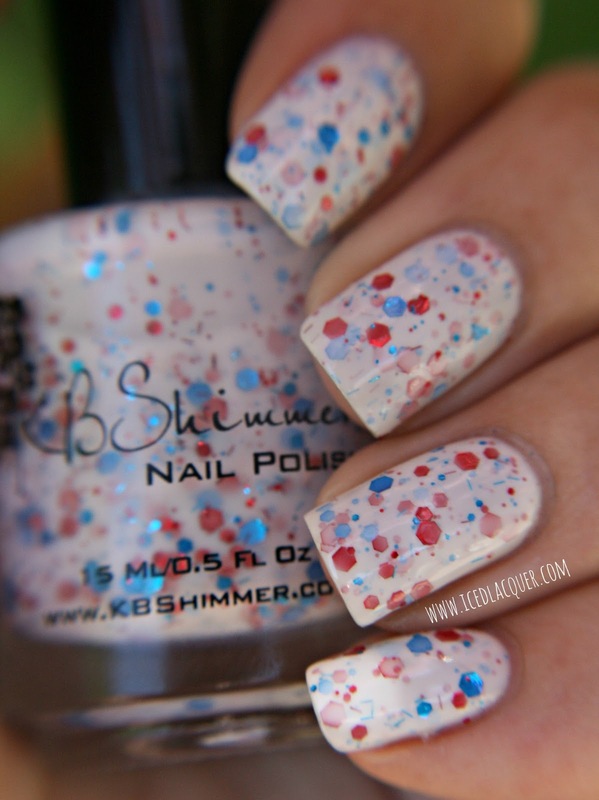 In addition, all three polishes were jam packed with glitter, but I didn't find any of them hard to work with. I didn't experience any need for glitter fishing or find myself making extra attempts to pull out any larger sizes or shapes. I'm a sucker for any white-based glitter polish and the cooler half of the color wheel (green, blue, purple) is definitely where I normally gravitate towards so I was instantly smitten with these three. 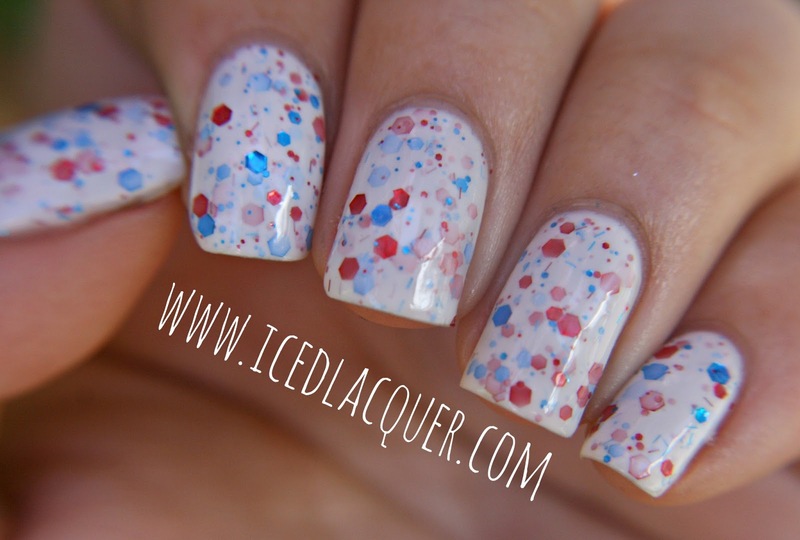 "Pimp My Pride" - A creamy white base filled with four different sizes of bright blue and red metallic hex glitter as well as some tiny blue and red bar glitter. I used three coats, but I was surprised that it was almost entirely opaque at two coats. Like I said, the bases are pigmented enough to cover effortlessly, but I can still see the glitters from previous coats peeking through. It's magical. 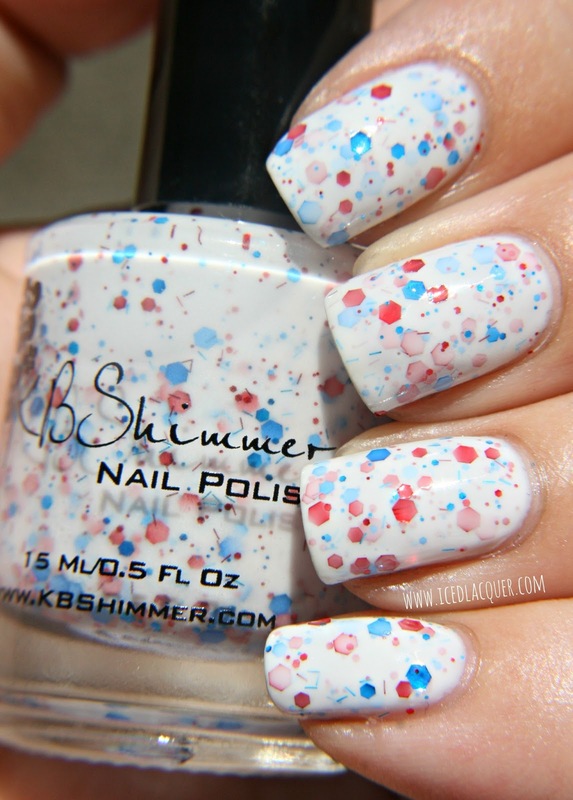 I finished this with two coats of KBShimmer "Clearly on Top" for an extra glassy look. "Totally Tubular" - A bright aqua blue base packed with several sizes of metallic hex glitter in aqua, magenta, and a dark purpleish-blue, tiny magenta bars, and magenta CIRCLES in two different sizes! You should know by now how much I adore circle glitter! 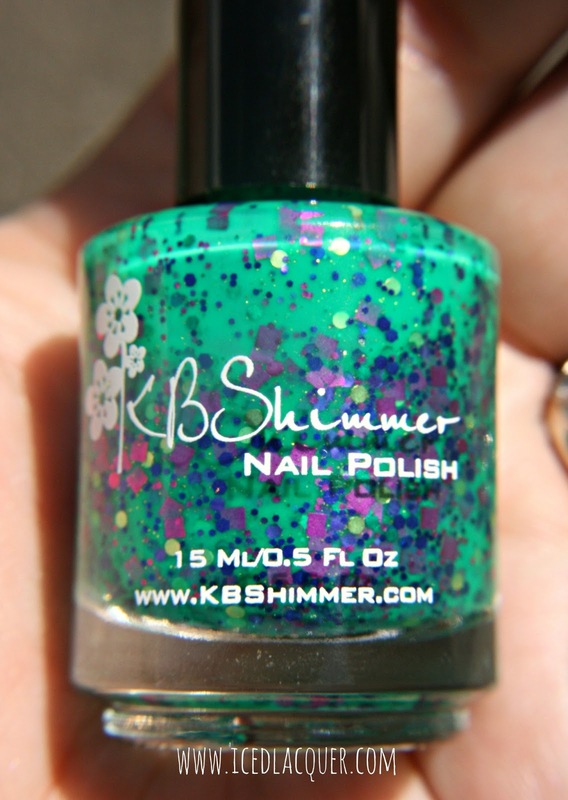 The base color dries very bright and is more of a matte finish, as a lot of neons are. Again, no base color used just three coats of this polish and two coats of top coat. 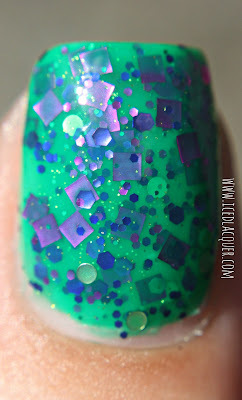 "The Dancing Green" - A vivid blue-toned green base stuffed with tiny hexes in lime green and emerald, medium hexes in magenta and purple, large purple and emerald hexes, magenta and lime green dots, and large magenta squares. 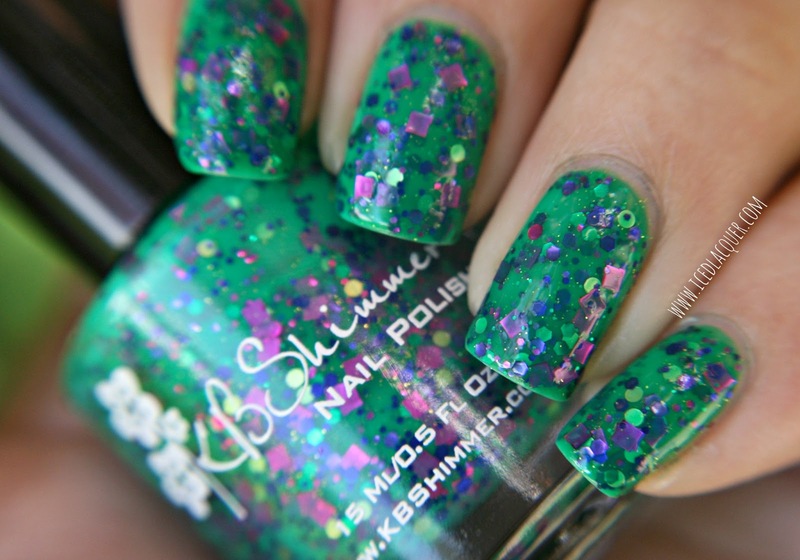 Am I the only one who can't help but be reminded of The Hulk with this polish? 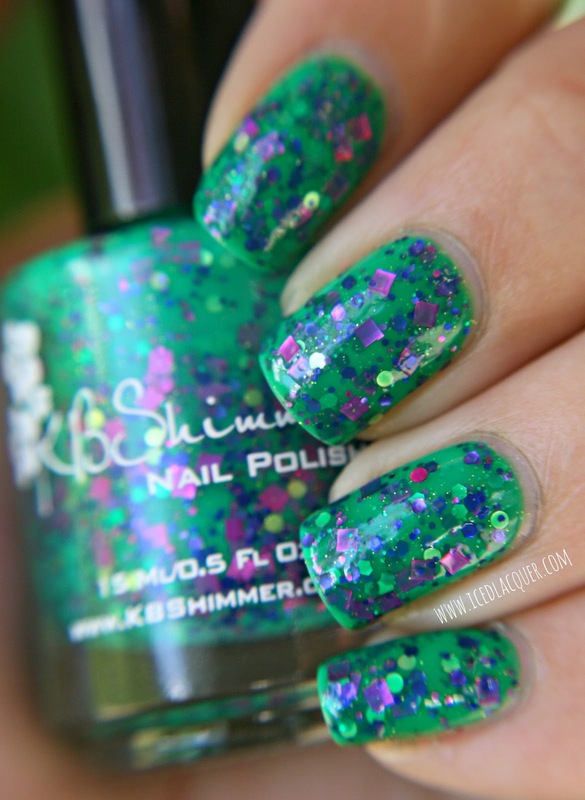 Again, another super unique blend of glitter sizes, shapes, and colors makes this polish awesome. I think it's especially interesting that the large magenta squares take on a more purple hue when covered by the green base of the polish. 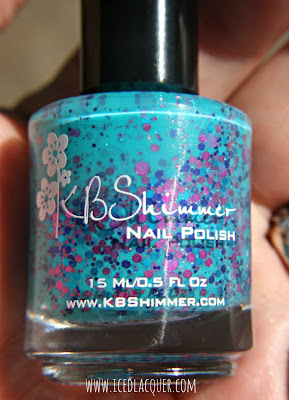 Of the three, this was the most dense and glitter filled polish, but application wasn't hard. Like the others, I used three coats here with two coats of top coat. This is actually one that I can't wait to try layered over a green base. 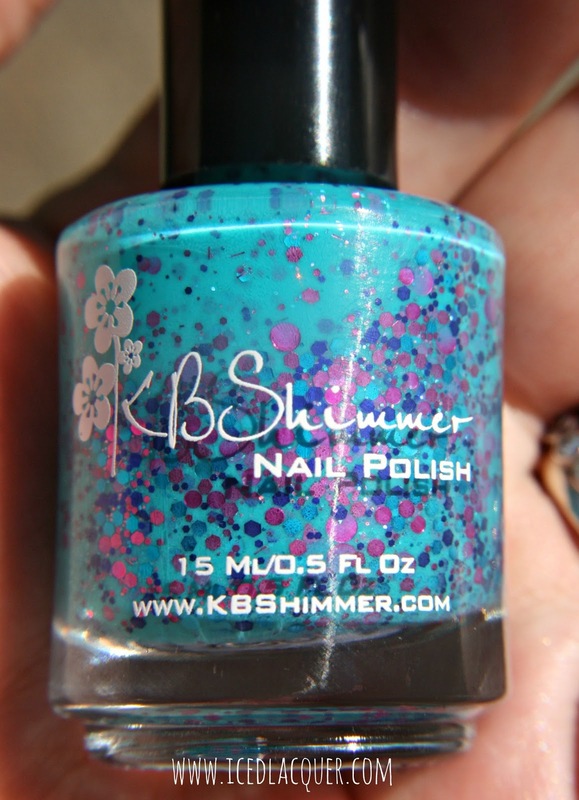 I should also note that this one gets significantly darker the more coats you use. 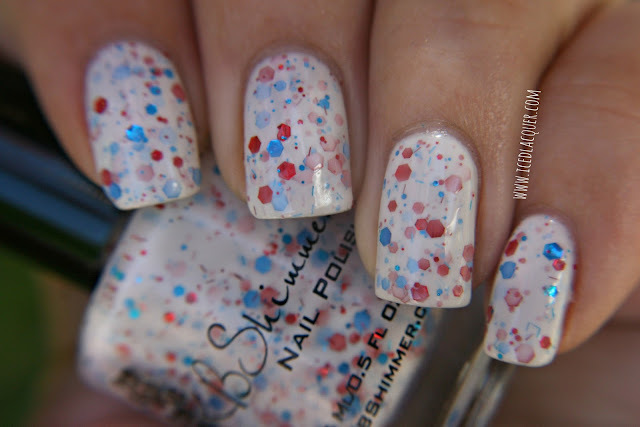 I've seen other swatches where this polishes appears much lighter, so I'm assuming people have used fewer or thinner coats. 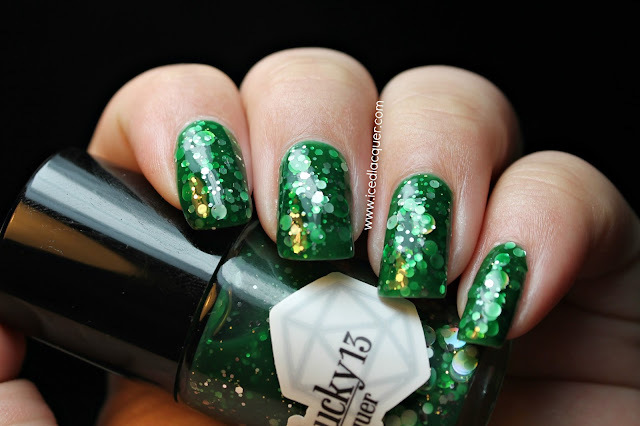 With indoor light (I'm still wearing this one), my nails look almost forest green. Not a negative for me, I just thought I would mention it! So what do you think? I hope you enjoyed these pictures and my review! Do you have any on your wishlist? 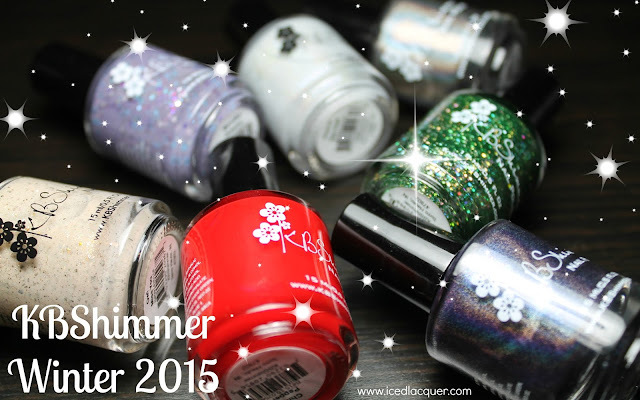 I'm already dying to get my hands on some other shades from this collection! I'm such a sucker for neons! 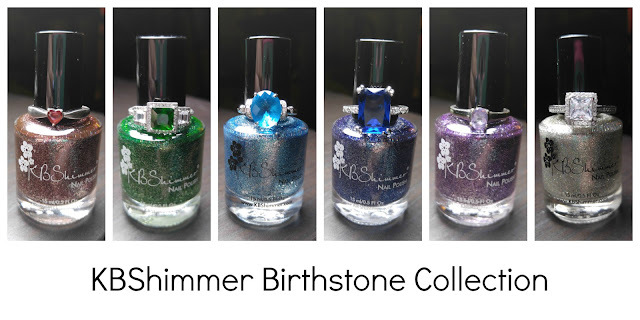 You can find KBShimmer polishes on their website and through other retailers, such as Harlow & Co. You can also follow on Facebook, Twitter, Instagram, and Pinterest! 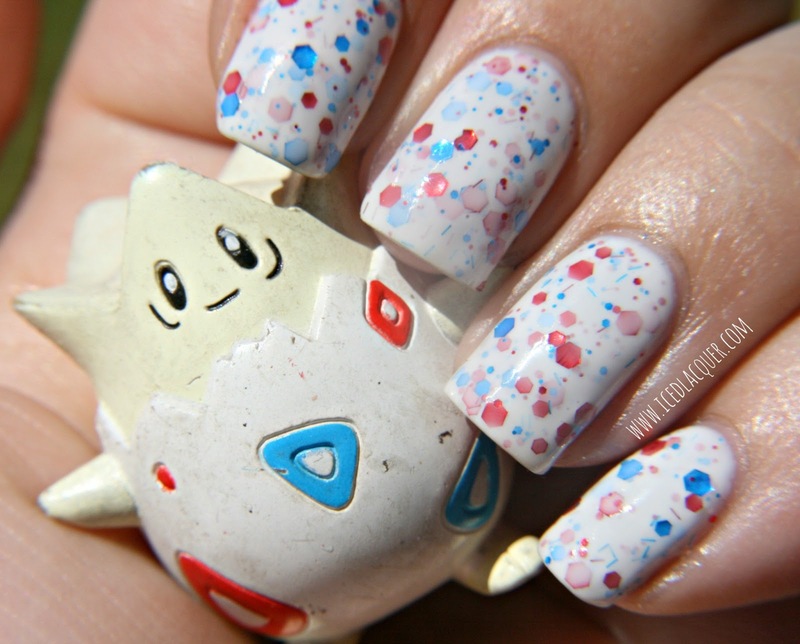 I love the picture with Togepi!! These all all gorgeous shades!